I love crunchmaster because they are gluten free. I received a sample of Crunchmaster multi-grain crackers in a box of sample foods that I receive monthly. Why did I like them? They were delicious with hummus as well as on their own. Truly flavorful and, yes, quite crunchy. I liked them on FB. Already liked AfH on FB previously and already subscribe to your newsletter. I like Crunchmaster because they light and tasty. I had no idea Crunchmaster was so close to wear I live! 🙂 I’m excited to try these as they are natural & gluten free. I recently switched my diet to gluten free in an effort to improve my digestive health & to improve my fitness training. Would love to try these! Already liked AfH on FB and already subscribe to your newsletter. love Crunchmaster crackers, that awesome for snack at work topped with cheese, hummus,or fig jam and goat cheese. These crackers are awesome. I love the taste and crunch. We love Crunchmaster products because they have minimal ingredients, that are minimally processed, are actually healthy for you, and no wheat belly or wheat brain! I love crunchmaster because they are gluten free & taste good! I haven’t tried Crunchmaster, but I like the fact that they are 100% whole wheat. Sounds like a great snack for my family. I shared on Twitter and FB. Because they are the best GF crackers out there!! Can’t wait to win this and make the edamame hummus too! yummmm!! I love CrunchMaster because they are Certified Gluten Free and tasty! It’s hard to find a snack that’s both. I love Crunchmaster because they are healthy AND taste good. I love Crunchmaster crackers because they taste so good. 100% whole grain, wholesome, low-calorie, guilt-free snack! I love it!! I love Crunchmaster because of the wonderful grains and seeds in them. These crackers are so delicious-they are addicting. 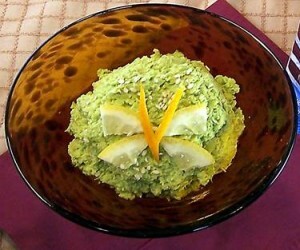 I love all the flavors-really satisfies that crunch “need”-good to dip into Toby’s tofu dip! I love that they are 100% whole grain! The whole grain and tasty crackers which are wonderful flavors. I haven’t tried these before, but they look amazing! I love whole grain crackers. I like both of you on FB and receive your newsletters. Sounds like they are healthy and tasty. I love the taste of these crackers and they are super crispy. They are great eaten alone or with a topping. The fact that they are healthy is just an added bonus! I love CrunchMaster because they are tasty and you can have them so many ways! I ‘Like” App for Health and Crunchmaster on Facebook and am subscribed to your newsletter. I would like to win these to give to my mother, who is a celiac, and my son who recently was diagnosed. They need some sort of tasty cracker to enjoy!! I have actually never tried these yet, but would like to because I’m looking for a healthy cracker and the flavors sound good. I haven’t tried them, but would love to win them so I can. They sound delicious and also healthy at the same time. I love the fact that they are gluten free, I love the crunchiness, and just the right amount of saltiness. They are a great snack and with a dip or some good cheese and a glass of wine…Heaven! I love Crunchmaster because they are yummy and everyone in the family loves them! 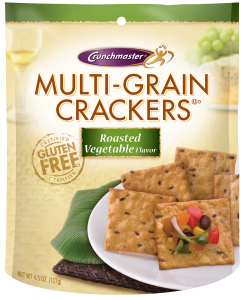 I love Crunchmaster because they are 100 percent whole grain & gluten free! I follow both on facebook as Angela Saver & I am an email subscriber! I like Crunchmaster because they are gluten free. I have yet to have the crunchmaster brand. I would definitely love to give them a shot, always intrigued by the flavors in the store. Thanks! i Love Cruunchmaster because they are a healthy, gluten free way for me to satisfy my need to crunch!! I like Crunchmaster because they are 100% whole grain. I like this blog and Crunchmaster on Facebook as Maryann Drapkin and I am a subscriber. I do like Crunchmaster and I have tried it and they are delicious with a cup of soup or for a snack. I like both you and Crunchmaster on Facebook. I like Crunchmaster products because they are both healthy and delicious. I like Crunchmaster because their products pair so well with other things that I love. Crunchmaster is a great healthy alternative to other cracker products! Love the Crunchmaster crackers taste so good! I will love Crunchmaster as an afternoon snack. The multi-seed crackers sound delish! We love Crunchmaster crackers around here!! The multi-seed are my favorites because they taste awesome!! Thanks for the chance to win!! I LOVE Crunchmasters because they are composed of all-natural, healthy nutritious grains and seeds that are easy to digest and gluten-free as well as free of any artificial ingredients, flavors or colorings or sweeteners! Also a loyal FB fan of both pages and email subscriber. Thank you all so much! I love crunchmaster because they taste fresh and crunchy without all the guilt! I’ve never tried Crunchmaster products before, but they sure do look and sounds so delicious. Because they are gluten free, and a healthy, tasty snack. I like eating them with Skinny Cow Cheese. Yummy and healthy! Love that they are gluten-free and full of wholesome nutritious ingredients – They are a perfect pairing for everything too – Hummus, Cheese, Avocado, Salsa, Peanut Butter and make crunchy croutons for salads! Shared on Facebook too for my friends and family. I love the variety of flavors and ingredients. I notice though that they do not say GMO free. I love Crunchmaster because I don’t have to worry if these crackers are healthy for me. I like you and Crunchmaster on Facebook, get your newsletter, and shared the Seared Shrimp with Tomato and Avocado recipe that you tweeted about yesterday (https://twitter.com/debbieeland/status/577911096075501568) It looks tasty! I just love gluten free and healthy snacks. I’ve always loved your articles too!! I like Crunchmaster on FB, im subscribed to free e newsletter on AFH. I honestly never tried these and want to. What caught my attention is the 100% whole grain and gluten free. I posted on Facebook, Tweet. Roasted vegetable multigrain sounds delicious! I am working on cleaning out the white carbs and sugar from my diet…this is a perfect food to help!